Fibromyalgia, genetic differential diagnosis of (APOPT1, ACADVL, AMPD1, C12ORF62, CAV3, CLCN1, CNBP, COA3, COA5, COA6, COL1A1, COL5A1, COL5A2, COX10, COX14, COX15, COX20, COX6B1, CPT2, ENO3, FARS2, FASTKD2, FMR1, GAA, LDHA, LRPPRC, MTCO1, MTCO2, MTCO3, MTTL1 MTTS1, NOD2, PET100, PFKM, PGAM2, PGM1, PMP22, POLG, PYGM, SCO1, SCO2, SLC16A1, SPR, SURF1, TACO1, TNFRSF1A, TNXB). Fibromyalgia syndrome (or fibromyalgia) is a not-paralyzing, not-deforming, and not degenerative condition characterized by chronic widespread pain and tenderness. It is a complex condition considered to represent a paradigm of centralized pain. Muscle rigidity, diffuse muscle-skeletal pain, paresthesia, sleep disturbances and fatigability (asthenia) are the main clinical features of this sometimes aspecific condition. Notably, the diagnosis of fibromyalgia is not unanimously recognized (or considered in the same manner) by all physicians. The exact cause of fibromyalgia is unknown. It is has been suggested that it may be related to reduced levels of certain neurotransmitters (such as serotonin), growth hormone (GH) and/or changes in the way the central nervous system processes pain messages carried around the body. Despite suggestions that some people may be more likely to develop fibromyalgia because of hereditary genetic predisposition, fibromyalgia is not a genetic disorder. However, some genetic diseases show clinical overlap with fibromyalgia. This review will focus on the genetic differential diagnosis of fibromyalgia, shedding the light on rare conditions which can be initially misdiagnosed as fibromyalgia, possibly delaying appropriate treatment and follow-up. Muscle rigidity, diffuse muscle-bone pain (musculoskeletal algias), paresthesia, sleep disturbances and fatigability are the main clinical features of fibromyalgia. People with fibromyalgia may also experience some cognitive manifestations, such as problems with memory and concentration (collectively named “fibro-fog”). Additional clinical findings may include headaches, irritable bowel syndrome (IBS), irritable bladder, dysmenorrhea, premenstrual syndrome, restless legs syndrome, non-cardiac thoracic pain, dry eye syndrome, Raynaud or Raynaud-like syndrome in hands and feet, and tachycardia in supine position at rest. About 30% of fibromyalgia patients have some kind of psychological manifestation. In some cases there is a concomitant psychiatric diagnosis, including not severe depression, anxiety, hypochondria or somatization. Sleep disturbances most commonly consist in non-restorative sleep, disturbed awakening in the morning and/or frequent awakening during the night. Sleep disturbances may significantly impact the quality of life during the day and should be addressed as a priority in treatment. In many cases, fibromyalgia appears to be triggered by a physically or emotionally stressful event, such as an injury or infection, giving birth, having an operation, the breakdown of a relationship, the death of a loved one. Low levels of the neurotransmitter serotonin have been detected in the cerebrospinal fluid of fibromyalgia patients. Reduced blood levels of growth hormone have also been reported by some researcher. Since growth hormone is crucial in the muscle repair process, it has been postulated that decreased growth hormone levels may explain muscle pain after (prolonged) physical exercise in fibromyalgia patients. Some patients may complain about arthralgia (joint pain) and sensation of swollen joints, although joints will be found normal on clinical examination. Overall, fibromyalgia symptoms may worsen with stress, anxiety, cold, humidity or excessive physical exercise, whereas symptoms may improve during the warm season or on holidays. There’s a certain clinical overlap between fibromyalgia and chronic fatigue syndrome, although the latter may be more frequently associated with signs of viral infection such as low-grade fever, sore throat, and axillary/cervical lymph node pain. Chronic fatigue syndrome appears suddenly and patients are sometimes able to report the exact date of onset. There are several conditions often associated with fibromyalgia. Generally, these are rheumatic conditions (affecting the joints, muscles and bones), such as osteoarthritis, lupus erythematosus systemic, rheumatoid arthritis, ankylosing spondylitis, and temporomandibular disorder (TMD). Diagnosing fibromyalgia can be difficult, as there’s no specific test to diagnose the condition. The one of fibromyalgia is typically a diagnosis of exclusion, i.e. it’s made when other similar conditions have been excluded based on clinical examinations, imaging and/or biochemical/genetic testing. However, the “tender points” criteria are still in use to help the diagnosis of fibromyalgia: severe pain in three to six or milder pain in seven or more different areas of the body (called “tender points”). Some patients may still be classified as affected with fibromyalgia in the absence of detectable tender points. Notably, the diagnosis of fibromyalgia is not unanimously recognized (or equally considered) by all physicians, which sometimes leads to problems in forensics and allowance-related aspects. Despite fibromyalgia has demonstrated a clear familial aggregation is some cases, and has therefore been considered to have some genetic background, it is clear that it is not a genetic disease (i.e. it is not a monogenic disease). Multiple candidate-gene studies have been conducted to find association with variable grades of susceptibility to the condition, with controversial results. Summarizing the current knowledge, genetic variants in certain genes might at most have just a partial role in giving susceptibility to the condition. Even if reduced levels of serotonin have been detected in the cerebrospinal fluid and reduced levels of growth hormone (GH) have been found in blood, no mutations causative of these findings have been detected. Conditions which are commonly ruled out before a diagnosis of fibromyalgia include non-genetic disorders such as chronic fatigue syndrome, rheumatoid arthritis, multiple sclerosis, hypothyroidism, rheumatic polymyalgia, and Lyme disease (borreliosis). So genetic testing is not routinely approached in the clinical evaluation. However, there are several genetic conditions which show clinical overlap with fibromyalgia and may be initially misdiagnosed as fibromyalgia syndrome. Examples include defects in collagen synthesis, in muscle proteins, in ion channels, and in several different enzymes. For example, metabolic myopathies, which comprise a clinically and etiologically diverse group of disorders caused by defects in cellular energy metabolism, including the breakdown of carbohydrates and fatty acids and the disruption of mitochondrial metabolism, are a good example, but also some neurological disorders, some types of Ehlers-Danlos syndrome, other metabolic defects, and rare muscle diseases. It is important for clinicians to be aware of the genetic differential diagnosis of fibromyalgia, so to avoid under recognizing conditions which may take advantage from targeted treatments or appropriate, specific follow-up. Mitochondrial complex IV deficiency (cytochrome c oxidase deficiency or COX deficiency, see the detailed clinical card here) is a very rare genetic metabolic disorder. The condition predominantly affect the skeletal muscles, but maybe generalized and therefore impact also heart, brain, kidney, connective tissue and liver. Disease severity ranges from the severe infantile form to the paucisymptomatic adult form at the mildest end. In some rare cases, symptoms of COX deficiency may not develop until adolescence or adulthood. The adult form is characterized by generalized muscle aches, hypotonia and occasional twitching and stiffness of the musculature. These patients may have history of diabetes, acute hearing loss, hyperlipidemia, hyperuricemia, arterial hypertension, polyarthrosis, hypogonadism, and hypothyroidism. Weakness, myalgias, CK elevation and diabetes may be present in the family history. Clinical investigations may show postural tremor, reduced tendon reflexes, and elevated serum CK levels. Muscle biopsy is aspecific, but the biochemistry of the muscle homogenate may reveal an isolated complex IV defect and reduced amounts of coenzyme Q (CoQ). Pathogenic mutations causing COX deficiency are mostly seen in nuclear DNA encoded genes and are associated with autosomal recessive transmission (APOPT1, C12ORF62, COA3, COA5, COA6, COX10, COX14, COX15, COX20, COX6B1, FARS2 FASTKD2, LRPPRC, PET100, POLG, SCO1, SCO2, SURF1, TACO1). Rarely COX deficiency may be caused by a mutation in a mitochondrial DNA gene, showing maternal inheritance (MTCO1, MTCO2, MTCO3, MTTL1, MTTS1). Fragile X tremor/ataxia syndrome (FXTAS) is caused by gain-of-function mutations in the FMR1. It differs from fragile X mental retardation syndrome (also known as fragile X syndrome o Martin-Bell syndrome) in that the latter is caused by loss-of-function mutations in the same gene. The mutation is consistent with a triplet CGG repeats in a specific region of the FMR1 gene. In FXTAS, the expanded repeats range in size from 55 to 200 repeats and are referred to as ‘premutations’. Full repeat expansions with greater than 200 repeats results in fragile X mental retardation syndrome. Medical problems have been associated with FMR1 premutation, such as fibromyalgia, endocrine, and psychiatric disorders. In a recent study, a trend of association between endocrine dysfunction and symptoms of fibromyalgia was noted in females with a FMR1 premutation. Ehlers-Danlos syndrome (EDS), hypermobility type is generally considered the least severe type of EDS, although significant complications, primarily musculoskeletal, do occur. The skin is often soft and may be mildly hyperextensible. Subluxations, dislocations and degenerative joint disease are common. Chronic pain, distinct from that associated with acute dislocations, is a serious complication of the condition and can be both physically and psychologically disabling. Fatigue and sleep disturbance are frequently associated with EDS hypermobility type and affected individuals are often diagnosed with chronic fatigue syndrome, fibromyalgia, depression, hypochondriasis, and/or malingering prior to recognition of joint laxity and establishment of the correct underlying diagnosis. 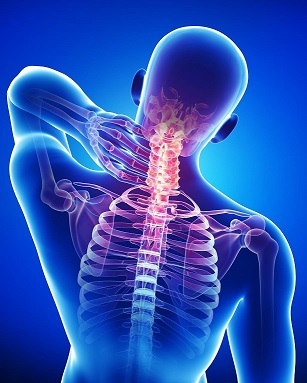 Muscular or myofascial pain, localized around or between joints, often described as aching, throbbing, or stiff in quality, may be attributable to myofascial spasm, and palpable spasm with tender points (consistent with fibromyalgia) is often demonstrable, especially in the paravertebral musculature. EDS hypermobility type is inherited in an autosomal dominant manner. Most individuals diagnosed with the syndrome have an affected parent. Unfortunately, in EDS hypermobility type, the gene(s) in which mutations are causative are still unknown and unmapped, so the diagnosis is entirely based on clinical criteria as recommended in Beighton et al (1998) and Levy (2016). However, in some patients with EDS hypermobility type, haploinsufficiency of the TNXB has been detected. Ehlers-Danlos syndrome due to tenascin X deficiency is a clinically distinct form of Ehlers-Danlos syndrome and is part of the differential diagnosis of EDS hypermobility type. EDS due to tenascin X deficiency is caused by compound heterozygous or homozygous mutations in the TNXB gene. Patients with EDS due to tenascin X deficiency manifest joint laxity, hyperextensible skin, easy bruising and may develop joint subluxations and chronic musculoskeletal pain. Notably, the analysis of TNXB gene sequence is complicated by by lacks in transcript sequence annotation and by the presence of the closely related pseudogene TNXA. Myotonic dystrophy type 2 (DM2) is characterized by myotonia and muscle dysfunction (weakness, pain, and stiffness), and less commonly by cardiac conduction defects, iridescent posterior subcapsular cataracts, insulin-insensitive type 2 diabetes mellitus, and testicular failure. CNBP (formerly known as ZNF9) is the only gene in which mutation is known to cause myotonic dystrophy type 2. CNBP intron 1 contains a complex repeat motif, (TG)n(TCTG)n(CCTG)n. Expansion of the CCTG repeat causes DM2. The number of CCTG repeats in expanded alleles ranges from approximately 75 to more than 11,000, with a mean of approximately 5000 repeats. Many symptoms of DM2 resemble the diffuse muscle pain and stiffness associated with other disorders, such as fibromyalgia, and delay accurate diagnosis. Family histories reveals that, especially when the clinical evaluation is carried out by non-experts, obligate CNBP heterozygotes may be undiagnosed in the fifth and sixth decade of life or frequently may be misdiagnosed as having “rheumatism,” fibromyalgia, rheumatoid arthritis, inflammatory myopathy, atypical motor neuron disease, or metabolic myopathy. In one Finnish study, over 63 patients with a diagnosis of fibromyalgia were later found to have the CNBP gene mutation. Hereditary neuropathy with liability to pressure palsies (HNPP) is characterized by repeated focal pressure neuropathies such as carpal tunnel syndrome and peroneal palsy with foot drop. The first attack usually occurs in the second or third decade. Some affected individuals also have signs of a mild to moderate peripheral neuropathy. HNPP is caused in 80% of cases by a 1.5-Mb contiguous gene deletion of chromosome 17p11.2 caused by unequal crossing-over that includes the PMP22 gene. In the remaining 20% of cases, the condition is caused by PMP22 point mutation detectable by sequencing, including nonsense, frame shift and splice mutations. Authors found that found that up to 75% of HNPP patients may have symptoms of pain and pain can be the initial symptom in some. About one third of HNPP patients have symptoms suggesting fibromyalgia, which may be a common early clinical diagnosis. Sepiapterin Reductase Deficiency (also known as Dopa-responsive hypersomnia or Dopa-responsive dystonia) is an autosomal recessive disorder caused by biallelic mutations in the SPR gene. The phenotypic spectrum of sepiapterin reductase deficiency (SRD), which ranges from significant motor and cognitive deficits to only minimal findings, has not been completely elucidated. Clinical features in the majority of affected individuals include motor and speech delay, axial hypotonia, dystonia, weakness, and oculogyric crises; symptoms show diurnal fluctuation and sleep benefit. Other common features include parkinsonian signs (tremor, bradykinesia, masked facies, rigidity), limb hypertonia, hyperreflexia, intellectual disability, psychiatric and/or behavioral abnormalities, autonomic dysfunction, and sleep disturbances (hypersomnolence, difficulty initiating or maintaining sleep, and drowsiness). Heterozygotes carriers are generally asymptomatic, although anecdotal reports have raised the possibility of some kind of symptoms in some subjects. In one family, heterozygotes have been reported to show clinical signs of fibromyalgia. Adiposis dolorosa, also known as Dercum disease, is characterized by generalized obesity and pronounced, disabling, and chronic pain in the adipose tissue of the proximal extremities, trunk, pelvic area, and buttocks; the face and hands are usually spared. There are a number of associated symptoms, including multiple lipomas, generalized weakness, fatigue, sleep disturbances, constipation, and psychiatric abnormalities. It is 5 to 30 times more common in women than men, and usually presents between 35 and 50 years of age. The majority of cases of Dercum disease occur sporadically. However, there have been rare reports of familial occurrence consistent with autosomal dominant inheritance. The causative gene of Dercum disease is still unknown, therefore the diagnosis is based exclusively on clinical examination. Myotonia congenita is an inherited myopathic disorder that is caused by mutations in the CLCN1 gene. Inheritance can be either autosomal dominant or autosomal recessive. Myotonia congenita is a nondystrophic skeletal muscle disorder characterized by muscle stiffness and an inability of the muscle to relax after voluntary contraction, but can infrequently manifest as generalized muscle cramps or myalgia. Cases have been reported of patient manifesting chronic widespread pain, chronic headache occurring during pregnancy, depression and/or cold-induced muscle cramps, who have been initially diagnosed with fibromyalgia and later on with myotonia congenital caused by CLCN1 mutations. Erythrocyte lactate transporter defect is a rare condition characterized by severe chest pain and muscle cramping on vigorous exercise. It is classified as a congenital disorders of metabolism. Erythrocyte lactate transporter defect shows autosomal dominant inheritance and is caused by mutation in the SLC16A1 gene. Heterozygous patients so far reported had increased serum creatine kinase (CK), erythrocyte lactate clearance rates that were 40 to 50% of normal control values. Chest pain might be at first mistakenly considered cardiac in origin. Muscle symptoms includes exercise-induced muscle cramping, stiffness and fatigue. Symptoms may be induced by heat. Ehlers-Danlos syndrome (EDS), classic type is an autosomal dominant disorder caused by mutation in the COL1A1, COL5A1 or COL5A2 gene. EDS classic type is characterized by marked skin involvement and generalized, gross joint laxity, with musculoskeletal deformity and diverse orthopedic complications. Patients with EDS may report about high levels of chronic pain. Although several diagnostic criteria are in place to guide the diagnosis of EDS classic type, it should be highlighted that variability in severity of the phenotype can be observed in EDS. Carnitine palmitoyltransferase II (CPT II) deficiency is a rare genetic disorder that prevents the body from using certain fats for energy, particularly during periods without food (fasting). The myopathic form of the disease is characterized by recurrent episodes of muscle pain (myalgia) and weakness and is associated with the breakdown of muscle tissue (rhabdomyolysis) and subsequent myoglobinuria. Episodes of myalgia and rhabdomyolysis may be triggered by exercise, stress, exposure to extreme temperatures, infections, anesthesia or fasting. The first episode usually occurs during childhood or adolescence. Most people with the myopathic form of CPT II deficiency have no signs or symptoms of the disorder between episodes. The disorder is caused by biallelic mutations in the CPT2 gene. Definitive diagnosis is usually made by detection of reduced CPT enzyme activity and/or sequencing of the CPT2 gene. CPT2 heterozygotes (carriers) are generally asymptomatic; however, manifesting carriers for the p.Arg503Cys pathogenic variant have been reported. Familial periodic fever (also known as TNF receptor-associated periodic syndrome or TRAPS or familial Hibernian fever) is a condition characterized by recurrent episodes of fever. These fevers typically last about 3 weeks but can last from a few days to a few months. However, some individuals can go many years without having a fever episode. Fever episodes occur spontaneously, but may also be triggered by minor injury, infection, stress, exercise, or hormonal changes. During episodes of fever, TRAPS patients can also develop abdominal and muscle pain and a spreading skin rash, typically on the limbs, periorbital edema, joint pain, sterile peritonitis, arthralgia, myalgia, muscle stiffness, conjunctival injection, and inflammation in various areas. One fourth of TRAPS patients develop amyloidosis, an abnormal buildup of a protein called amyloid in the kidneys that can lead to kidney failure. The age of onset is variable. The disorder is autosomal dominant and caused by mutations in the TNFRSF1A gene. Routine blood test anomalies may include increased erythrocyte sedimentation rate and increased white blood cell count. The condition favorable response to high-dose steroids. Glycogen storage disease II (GSD2 or Pompe disease) is caused by homozygous or compound heterozygous mutation in the GAA gene. GSD2 is the prototypic lysosomal storage disease. In the juvenile and adult forms (late-onset Pompe disease), involvement of skeletal muscles dominates the clinical picture. Late-onset Pompe disease usually presents as a limb-girdle myopathy with early respiratory involvement. Fibromyalgia-like symptoms associated with irritable bowel syndrome have been reported in cases of late-onset Pompe disease. Glycogen storage disease type V (GSD5, McArdle disease or myophosphorylase deficiency) is a metabolic myopathy characterized by exercise intolerance manifested by rapid fatigue, myalgia, and cramps in exercising muscles. Age of onset is frequently in the first decade of life but can vary. Fixed muscle weakness occurs in approximately 25% of affected individuals, is more likely to involve proximal muscles, and is more common in individuals of advanced age. Approximately 50% of affected individuals have recurrent episodes of myoglobinuria. Many individuals remember painful symptoms from early childhood, but the disorder is rarely diagnosed before adulthood. Some people notice a worsening of their symptoms in middle age that may be accompanied by some muscle wasting. The disorder is autosomal recessively inherited and is caused by biallelic mutations in the PYGM gene. Glycogen storage disease VII (GSD7 or Tarui disease) is an autosomal recessive metabolic disorder characterized clinically by exercise intolerance, muscle cramping, exertional myopathy (delayed muscle pain and stiffness), and compensated hemolysis. Myoglobinuria may also occur. Not all patients with GSD7 seek medical care because in some cases it is a relatively mild disorder. GSD7 is caused by homozygous or compound heterozygous mutation in the PFKM gene. Glycogen storage disease X (GSD10 or PGAMM deficiency) is caused by homozygous or compound heterozygous mutation in the PGAM2 gene. Onset can be in childhood but also in teenage years. Symptoms are usually induced only by strenuous exercise and include muscle cramps (also seen in some heterozygotes), exercise intolerance (also seen in some heterozygotes), myalgia (muscle pain) and rhabdomyolysis. Glycogen storage disease XI (GSD11, also known as lactate dehydrogenase A deficiency) is caused by biallelic mutations in the LDHA gene. People with lactate dehydrogenase-A deficiency experience fatigue, muscle pain and stiffness, and cramps during exercise (exercise intolerance). In some people with lactate dehydrogenase-A deficiency, high-intensity exercise or other strenuous activity leads to the breakdown of muscle tissue (rhabdomyolysis). The severity of the signs and symptoms among individuals with lactate dehydrogenase-A deficiency varies greatly. Another form of glycogen storage disease (namely glycogen storage disease XIII – GSD13) has been postulated to be caused by mutations in the ENO3 gene. However, just one single patient has been reported. The patient had exercise intolerance, myalgias, and increased serum creatine kinase. An unusual group of adult-onset mitochondrial disease patients present with sporadic isolated myopathies, with exercise intolerance variably accompanied by proximal muscle weakness and myoglobinuria. It is important for clinicians to be aware of this condition, which in several cases has been misdiagnosed as chronic fatigue syndrome or fibromyalgia. Mitochondrial diseases with possible adult-onset include: isolated myopathy (cyt b mutations), MERRF, MELAS, and CPEO/Kearns-Sayre syndrome. Yao syndrome, formerly named NOD2-associated autoinflammatory disease, is a periodic disease characterized by fever, dermatitis, polyarthritis/leg swelling, and gastrointestinal and sicca-like symptoms associated with specific NOD2 sequence variants. Fibromyalgia has been found to be an associated comorbidity in some patients with Yao syndrome. The diagnosis is usually made between the third and the fourth decade. Myoadenylate deaminase deficiency is an autosomal recessive condition that can manifest as exercise-induced muscle pain, occasionally associated with rhabdomyolysis and/or increased serum creatine kinase, or even infantile hypotonia. However, the finding of homozygous mutations among asymptomatic individuals have suggested to some (e.g., Verzijl et al., 1998) that AMPD1 deficiency may be a harmless entity. VLCAD deficiency can be classified clinically into 3 forms: a severe early-onset form; an intermediate form with childhood onset; and an adult-onset, myopathic form with isolated skeletal muscle involvement. In the adult-onset form, older patients may manifest with muscle weakness associated with fasting or infection, muscle pain and rhabdomyolysis with exercise, muscle stiffness, myoglobinuria. Myopathic episodes may also be triggered by fasting and cold temperatures. The condition is autosomal recessively inherited and caused by mutations in the ACADVL gene. Hereditary rippling muscle disease is an autosomal dominant disorder characterized by mechanically triggered contractions of skeletal muscle. In rippling muscle disease, mechanical stimulation leads to electrically silent muscle contractions that spread to neighboring fibers that cause visible ripples to move over the muscle. Rippling muscle disease is usually inherited as an autosomal dominant trait, but autosomal recessive inheritance has also been reported. Muscle symptoms include: fatigue, muscle cramps, stiffness and pain with exercise; muscle hyperirritability (muscles are unusually sensitive to movement or pressure), muscle hypertrophy, and muscle mounding (a bump or other sudden impact on the muscle causes it to bunch up). In most patients, stretching the muscle causes visible ripples to spread across the muscle, lasting 5 to 20 seconds. Onset is variable from 5 to 54 years (mean: 22 years). The condition is autosomal dominant and caused by mutation in the CAV3 gene. Mutations in at least one additional gene, mapped on chromosome 1 but not identified yet, are also causative for rippling muscle disease. Congenital disorder of glycosylation, type It (CDG1T, also known as glycogen storage disease type XIV – GSD14) is an autosomal recessive disorder characterized by a wide range of clinical manifestations and severity. Exercise intolerance, often accompanied by increased serum creatine kinase, muscle weaknedd, fatigue, rhabdomyolisis are part of the clinical spectrum. CDG1T is caused by homozygous or compound heterozygous mutation in the PGM1 gene. Fibromyalgia is not a genetic disorder. However, there are several genetically determined conditions which show clinical overlap with fibromyalgia, so it is important for clinicians to be aware of the genetic differential diagnosis of fibromyalgia. This is even more true when considering that fibromyalgia is typically a diagnosis of exclusion. A comprehensive next generation sequencing panel based on exome or genome sequencing may certainly be of help. Due to the heterogeneity of the mutations involved, additional techniques such as MLPA and fragment length analysis should be included. The panel also includes: fragment length analysis (CNBP gene), MLPA analysis (PMP22 gene) and full mitochondrial DNA analysis. Harrison, Principles of Internal Medicine (17th edition). Posted in Academia, Disease cards, Last Update, Medical Genetics and tagged fibromyalgia.